He proposed to her last August during a hike on Cadillac Mountain in Maine’s Acadia National Park. They kept a tight led on the location and details of the ceremony up to the last minute. The ceremony is to take place on the President’s ranch in Texas tomorrow evening, 7:30pm. After reading an article by Mike Celizic from the TODAYShow.com, I had to share some excerpts to all brides-to-be that are interested in celebrity weddings. 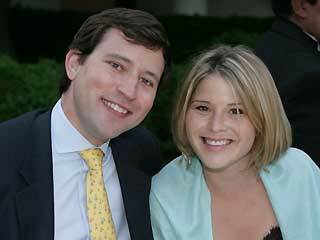 Excerpts and photo taken from article entitles, “Jenna Bush dishes on her May 10 wedding. She tells Vogue magazine about her gown and location”, by Mike Celizic , click following for complete article http://www.msnbc.msn.com/id/24136243/.